December has been the month of the never ending cold virus at our house. In spite of all the coughing and sneezing, though, I've been snatching a few moments to sew whenever I can. I finally had the chance to try out Kelby's fabulous tutorial, and it has changed my life, I tell you. Why did I never think to finish off the edges of my pouch linings with a zig zag stitch? As someone who adores the look of a structured case, that last step of binding the raw edges inside has so often kept me from making one. No more of that! The case you see above, made with Denyse Schmidt's gorgeous Hadley collection, has been sitting in my WIP pile for weeks because I couldn't face the time it would take to properly bind the lining. I'm thrilled to death to have this project done at last! Using Kelby's tutorial, I made a Dopp Kit for my Dad using new canvas prints from Cotton & Steel. I love that Tokyo Train Ride lining inside this pouch! I also made a smaller version of the pouch using Melody Miller prints. This will be a perfect little makeup bag to fit in my luggage for our Christmas trip to Arizona this week. And speaking of Christmas, I hope you all have a wonderful one. Hugs to you, friends! All of us started sewing because we fell in love with it one way or another. We felt creative and inspired. We found something that both energized and relaxed us in the midst of our crazy schedules. 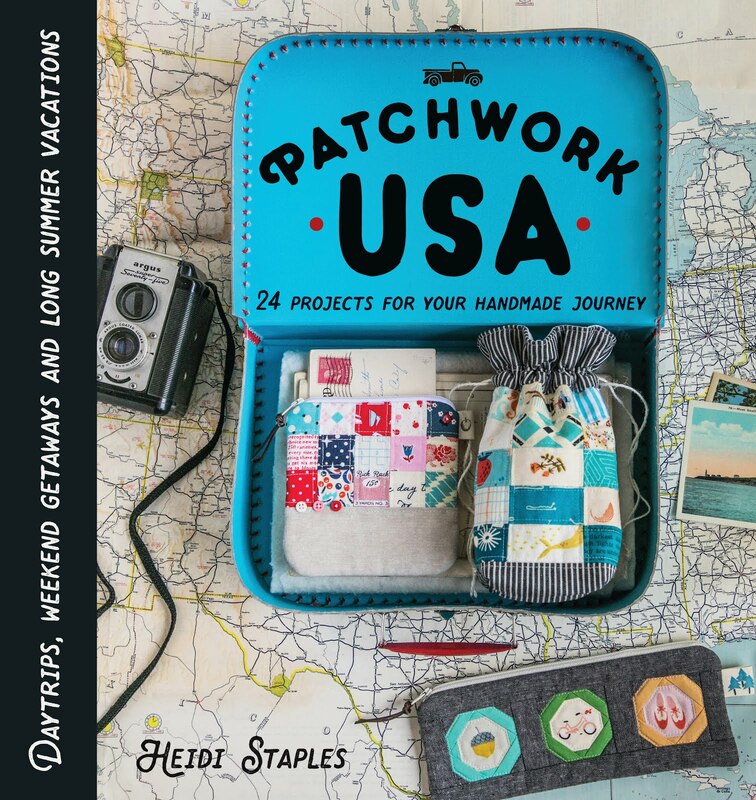 In time, some of us even made the decision to take our hobby to the next level -- starting a blog, writing a book, designing fabric, writing patterns, opening a fabric shop, teaching classes. It was fun and exciting to see those doors open, and we were thrilled to have even more chances to do what we loved. But one day you wake up, and something's different. It's not that you don't still love what you're doing, because you do. It's just that now this isn't something you get to do for fun whenever you feel like it. There are expectations, deadlines, maybe even financial obligations tied to this thing that you used to do when you were trying to escape all of those responsibilities. What do you do when your hobby becomes your job? 1. Find a way to play. The truth is that when your hobby becomes your job, you're left without a hobby. Either something else needs to take its place, or you have to find a way to divide things up so that some tasks are for work and some are for play. Are you running a fabric shop? Be sure to give yourself time to not just cut fabric, but to actually sew with it. Are you writing patterns? Take a break from pattern testing once in a while to make something just for fun. If you can't find that balance, try picking up something else that helps you be creative in a more relaxing way: drawing, painting, knitting, photography, crochet, music, sports, reading, etc. You may even discover another talent that you didn't know you had. 2. Don't take yourself too seriously. When you start a new adventure like this, it's a big deal. You should commit to it, celebrate it, and give it your all. At the same time, though, it's important to keep things in perspective. When I got my book contract, I was totally consumed by the project for months on end, trying to get every last detail just right. Some of the best advice I received was from my family. "Heidi, it's an amazing thing that you got to write this book," my mom told me, "and you'll always be able to look back and be glad that you got to do it. But don't ever forget that the book is just something you did. It isn't who you are." As my husband put it, "It doesn't have to be the best book ever written, sweetheart, just the best book you can write." Cut yourself some slack. You're not going to be perfect in any area of your life, including this one...and that's okay. Do your best and let the rest go. 3. Be honest with yourself. I'm the poster girl for overcommitment, and every few months it catches up with me. It's easy to feel that, because this is something you love to do, it's okay to load yourself up with more obligations in a week than any reasonable person could achieve in a month. It's also tempting to commit to some projects for free that cost you a lot in time and materials because you want to get your name out there. I personally feel that there's no hard and fast rule on these issues. There are times when you're going to have to work your tail off, and times when you desperately need to pull back and reevaluate your commitments. There are moments where you're going to put in a lot of work for less compensation than you probably deserve, and other moments when you need to hold out for a better offer. Deep down, we usually know which is which if we're brutally honest with ourselves. Take time each week to refocus and prioritize so that you can stay clear headed and know that you're making the best decisions for your situation. Am I making ends meet? Can I sustain this financially? Would I be willing to do this for any other typical 9-5 job? Is this working with my family situation? Are the sacrifices that they're making (or I'm making) worth it? Will it be easier if I wait a year before doing this? Three years? Five years? Is this is an offer that I just can't turn down or is there another way to make this happen that works better with my situation? Have I weighed all my options? If you're happy with your answers to these questions, that's fantastic! Pursue your opportunity in the knowledge that this is the right thing for you and your family. If you look at your situation, though, and realize that things aren't working out the way you hoped they would, there is no shame and much wisdom in changing course. It's ideal if you can weigh the sacrifices before you start a venture like this, but never be too proud to stop and refocus, even in the midst of things. It doesn't always mean that you have to quit what you're doing; sometimes it just means that you need to start doing things a little differently to make it work. I'd love to hear from those of you who are dealing with these issues in your own lives. What's your advice? 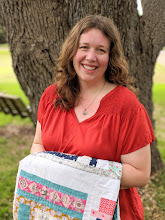 When my friend Jennifer asked if I would be a part of her Merry Mug Rug Blog Hop, I was so happy to join in the fun. A mug rug is just about the perfect holiday project: a quick finish that brings something special to your home in the middle of a busy season. When I think of Christmas, I think of family photos. My grandmother, who passed away last spring, was constantly pulling out her Polaroid camera when I was a little girl. I was always mesmerized by watching those pictures appear like magic after a minute or two. 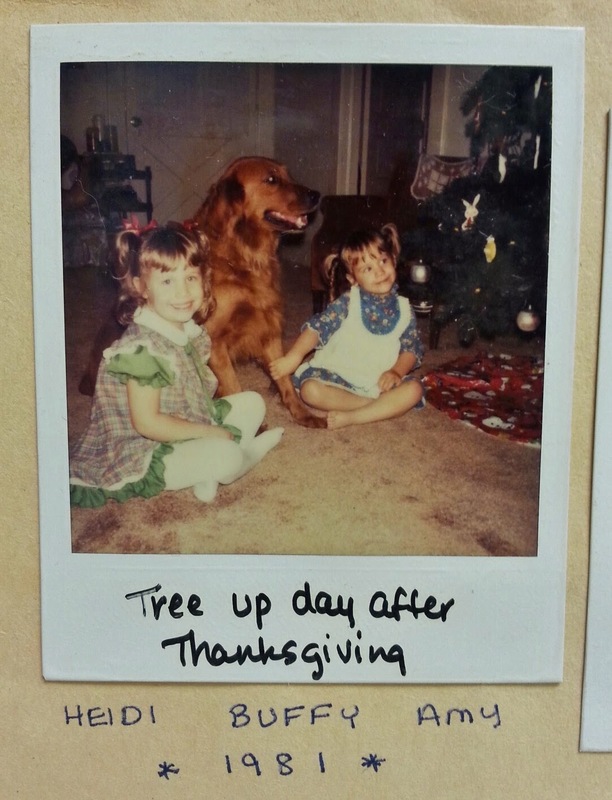 Grandma loved to scribble notes on the white border at the bottom of the picture and put them up all over her house, especially in her kitchen. The one above was taken by my mom when I was almost four years old, and I love it so much. It's been over a year since I've played around with Polaroid quilt blocks, but I was eager to pull out Karen's great tutorial for my Christmas mug rug. These are so perfect for fussy cutting, and I had just the right fabric in mind: Merry Main Street by Alexander Henry. I love the retro nostalgia of this print! My polaroids are framed in a white sketchy print by Carolyn Friedlander from Architextures, and the background is lime green linen Mochi Dots which I also used on the back of the mug rug. The piece is bound in a red and white scalloped print from Miss Kate by Bonnie and Camille. I used red embroidery floss to stitch some scribbled notes at the bottom of each "picture" just as if they were pressed in a family album. The embroidery was all done without any tracing since I wanted it to look like someone really had just dashed off a few notes in a hurry. This was such a fun project, and though I'd originally planned to give it away, I found that I just couldn't bear to part with it when it was finished. The mug rug is definitely going to be coming out with the Christmas decorations every year from now on!